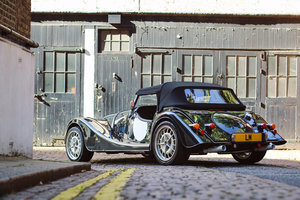 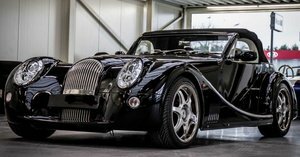 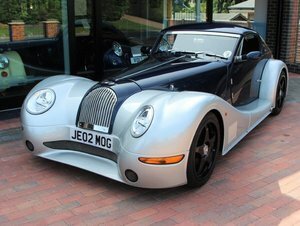 2018 Morgan Plus 8 - Number #50 of #50, the last V8 Morgan. 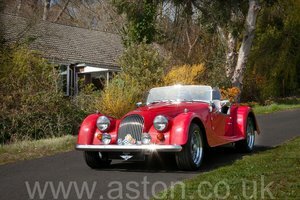 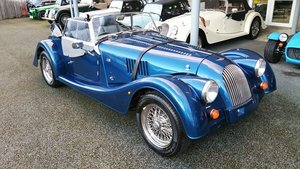 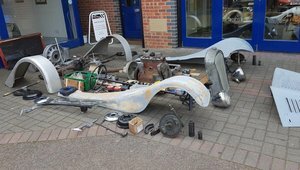 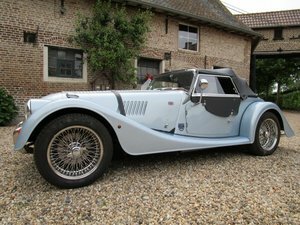 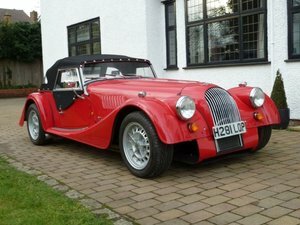 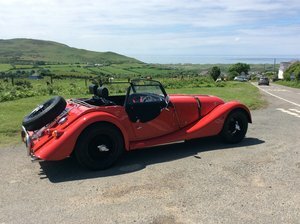 Morgan Roadster from 2005, maintenance records available, complete with softtop, sidescreens, wind deflectors, luggage rack, motolita steering wheel, badge bar, etc... 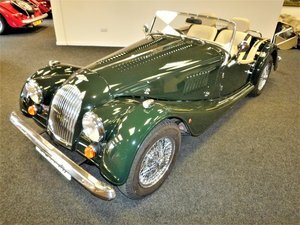 Outstanding condition! 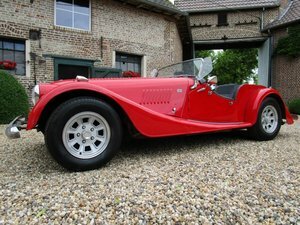 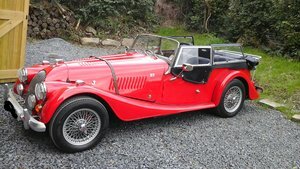 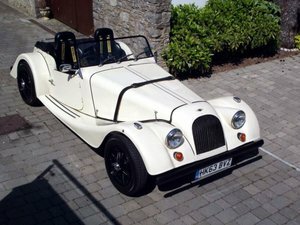 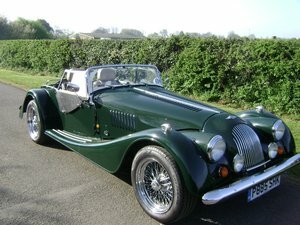 Nice original Morgan +8 from 1981. 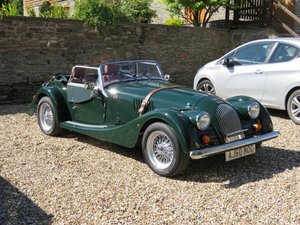 Black leather interior, black softtop, alloy wheels, wooden dashboard, luggage rack, etc... 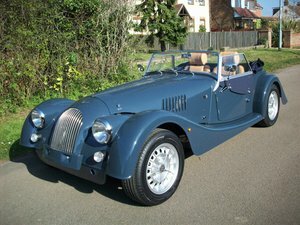 Very nice original condition! 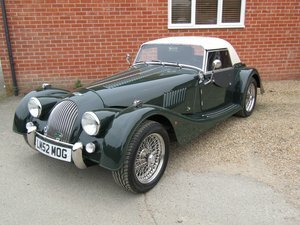 Added extras, heated seat pads, green mohair hood & pack, ear spinners, tread rubbers, bonnet strap, green leather trim, leather pack including steering wheel & door locks, battery conditioner, luggage rack, front bumper, badge bar, UJ badges, spare wheel, mahogany dashboard, moat lira wheel.